In the Florida example, the a police leader was tasked with operationalizing Lean Six Sigma, which caused an immediate improvement in the distribution of supplies and equipment, and in turned put officers out on the street on the job faster. (Sergeant William Wilkerson, Jacksonville Sheriff’s Office on Lean Six Sigma for Law Enforcement). However, before change could occur, it was necessary for all the stakeholders to have an understanding of the vision of the leadership. This is a necessary component in building support for an initiative, and one that is too often overlooked by decision-makers. It’s been suggested that most changes to the status quo occur during, or shortly following a crisis; fortunately it is not necessary to wait for (or create) a crisis situation in order to implement change. “Micro-Initiatives” Is a term used by this author to define radical changes in minute steps. By way of explaining its impact, micro-initiatives can be likened to termites. One study estimated that, “termites caused more damage to homes that all other natural disasters combine,” and yet the termite is among the smallest insects on the planet. How is it possible that so much change can be effected by such a small entity? One reason is that the change does not occur quickly, but over time; secondly, there is more than a single entity involved in the change; lastly, the change has a central goal and focus, and as a result the ‘body’ acts in concert and change occurs. With respect to organization or leadership change, adopting this lesson from nature and melding it into an organizational practice would suggest that radical change is possible, and could be made permanent if the focus is clear, and the goal is shared. 1) Keep the vision and the goal prominently visible. Add it in the tag line of the organizational newsletter and emails. Have small flyers added to the organizations bulletin boards, and other areas where people congregate. 2) Ensure the vision and goals are ‘auditorially’ present. In formal and informal gatherings, integrate the vision and goal into speeches, recitations, and informational briefings. Adapt the vision and goal into a slogan that can be shared with pride. The rationale in the deliberate and targeted sharing of the information is to spread understanding, and gain support from stakeholders. An appropriate aphorism in this regard is, “The Network is Greater than the Node.” The act of sharing the vision may be correctly interpreted by stakeholders as transparency, which in turn can elevate levels of trust with regard to the administration. Conversely, when such transparency is absent, or appears absent, insecurities, rumors, and assumptions can quickly fill the space where clarity should have reigned. Information sharing is not the same thing as abdicating responsibility or relinquishing decision-making authority. It is in this area that ineffective leadership can become confused. The type of leadership successes explained herein is leadership with a vision, not a policy or agenda. The purposeful, intentional, and strategic leadership, which integrates the visual and auditory components of information sharing, is the leadership that will be successful. 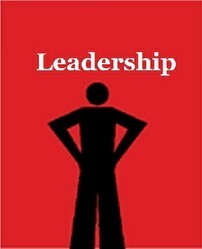 It is important to remember that leadership is more than a metaphor; it’s a choice and an opportunity to effect change. Mr. Eugene Matthews is an Assistant Professor of Criminal Justice at Lincoln University in Missouri. He has taught leadership workshops, and presented on various topics of interest. He is the author/owner of the Leadership, Coaching, and Mentoring website and has authored and published several books and articles on Leadership and Mentoring found in Amazon Kindle and Barnes and Nobles. His current list of projects include the re-release of his 2007 book of poetry, The World Through the Eyes of a Cop, and the completion of the third book in his leadership series dealing with Coaching. He can be reached through his website as well as his email for questions and comments ledcome@gmail.com.